We’d nearly reached the pond when Sapphire shouted “Hey you guys” – she always calls us ‘guys’ when she wants us to do something – “I need some help”. My goodness there was lots to do. Now, although she’s only 5, Sapphire is a very very good organiser. 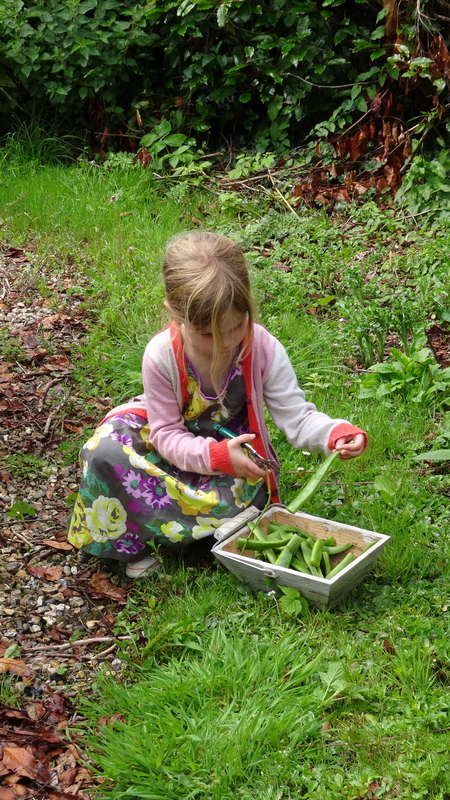 First she told me to pick the runner beans. It was fun when I found the great big curly one. As fast as I picked Sapphire carefully cut them up ready for cooking. She told The Viking to harvest the two enormous marrows. He managed to lift them, he’s only 3 but he’s very strong. And then Sapphire said that Trisseen and J’ree needed carrots for supper. The Viking and I had good fun pulling them up. Some were a really funny shape. Then The Viking went to the greenhouse to pick tomatoes. He likes that the best. Sapphire was still cutting up beans so I went to look at the plum tree. There were HUNDREDS of purple plums but they were still hard and not ripe enough to pick. Then, guess what, The Viking had vanished. 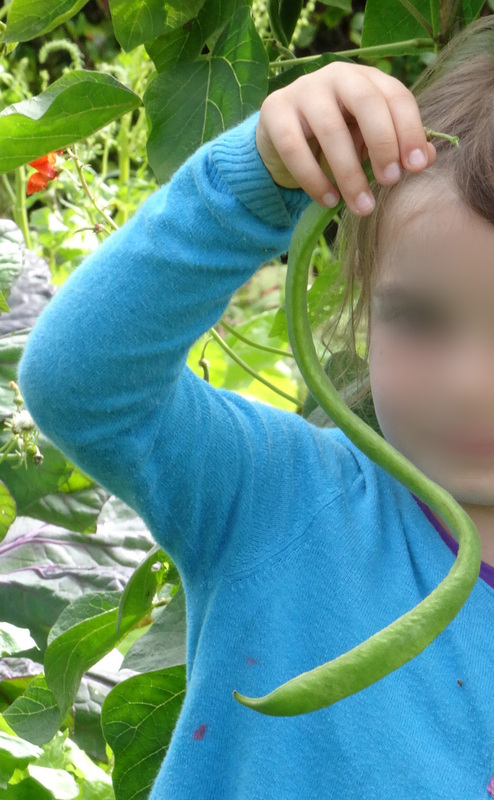 He wasn’t in the vegetable garden; he wasn’t in the greenhouse; he wasn’t running races; we called and called. 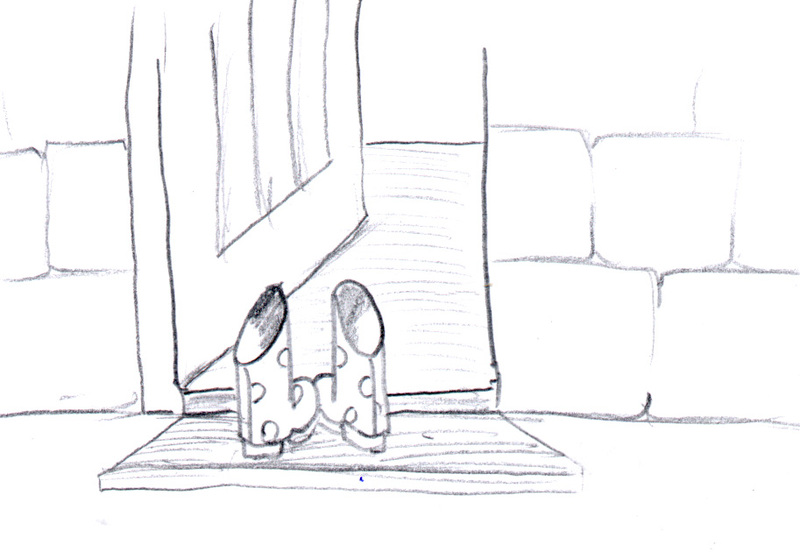 And then Granny saw his blue wellingtons outside the back door of the house. 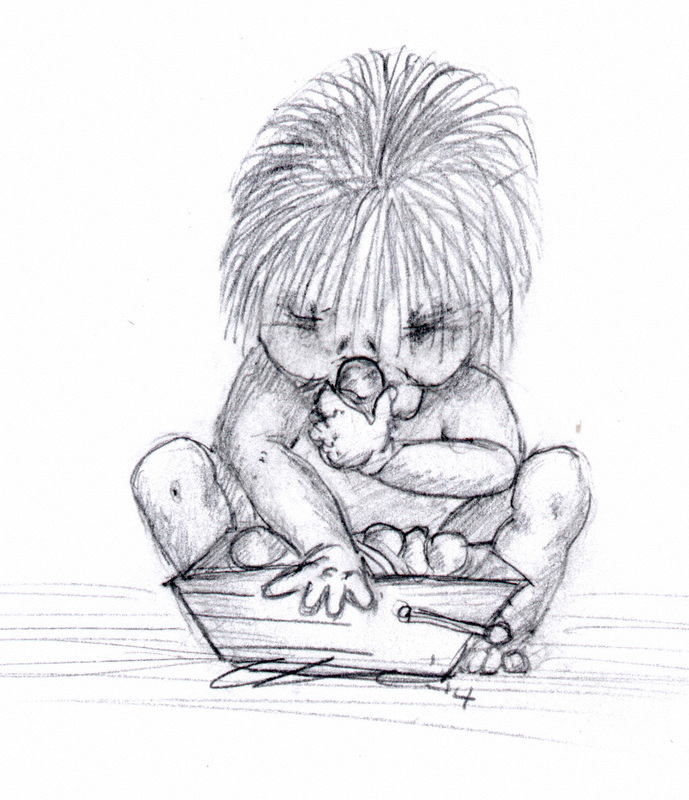 She went in and found The Viking sitting cross-legged in the middle of the sitting room floor with his trug on his knee eating the tomatoes he’d picked. We were all very pleased to see him. “I think it’s time for a treat” said Trisseen, “come into the kitchen.” “Please can we have some of the nice smelly bread” said The Viking. “How did you know there was nice bread?” Trisseen asked. “ I see’d it when I comed in to eat my tomatoes” he said. We all laughed and then we ate the delicious bread fresh from the oven. Copyright ©Elizabeth Gledhill and Christine Shine, content owners of charlies-chat.com 2014. This entry was posted in children, children's games, children's stories, country lore, countryside lore, fairy tales, fantasy, innocence, magic, nature, outdoor+games, The Joy of Childhood, wildlife, wizard, woods, written by Charlie Age 6 and 1/2 and tagged adventures, childhood, children's+stories, fairies, fairy tales, fantasy, magic, outdoor+games, wildlife, Wizard. Bookmark the permalink. I love your blog Charlie. I wish I could come and play with you. I hear a lot of you want to say you like my Blog. Thank you! But you get asked to log-in and all sorts of things. Now you can leave a comment and no one will ask you for anything like that. There's a thing at the bottom of the page saying Reply, Leave a comment. Or else you can e-mail me directly using the Click at the top of this Blog. Be great to hear from you - particularly if you say nice things!